Friends and Family we’re starting to lose our communications. If you don’t follow me on my Bonnie Floyd Ministries Page please please do so now! I can no longer manage multiple social media sites from here. So my brilliant BFM Team at home is going to post our updates to my Ministry Page, as long as we’re able to get them out. You can also get updates on my Bonniefloyd.com website. WE LOVE YOU! Prayer: Lord Jesus, we know you are in the wind and the rain. You are mighty. you are sovereign, you are ever present in this storm. Lord, we pray that you protect everyone both physically and spiritually. There is not a storm that you cannot protect us from. Our faith is founded on the rock, not the shifting sand. Resolutely, you will carry us through this. We know you can rebuke the storms, and still the waters. We pray for that now Lord, in whatever way that is. Keep the wind from any structure where your saints reside. Bring those that aren’t of faith to a knowledge of you through this. 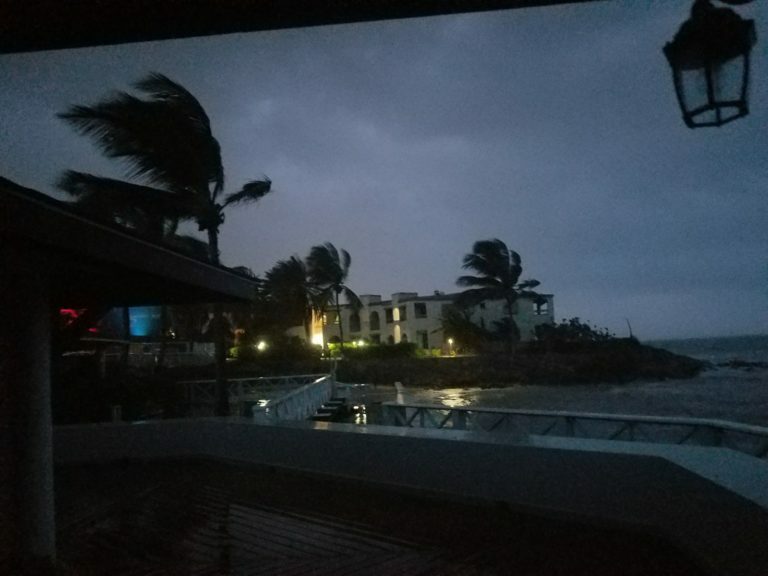 [4:29 PM, 9/5/2017] Klarissa Joseph: Am fine…current is jus off [electricity]…we here in barbuda can hear the sea roaring (sea is real big time ruff and high on the eastern side) and also hear hog hole. It’s a cave that water rushing down in and the cave shoots it bak out!!! We covet your prayers as this old Irma is getting crankier.